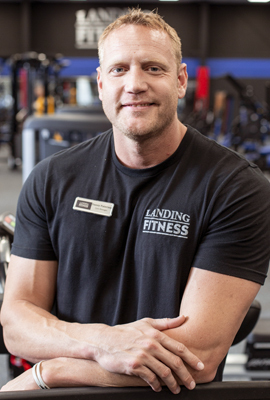 Landing Fitness is Branson’s newest state-of-the-art gym and the only facility you will need for all of your workout and fitness needs. Landing Fitness is also home to exclusive cardio technology not found anywhere else in the area. Top-tier personal training team to help specialize and motivate you to help you reach your goals. Extensive class schedule with many options including Group Cycle, Pump, Turbo Kick, and much more. Only Branson fitness facility to include an indoor pool and aqua fitness classes to come. Choose from a range of membership options to fit any lifestyle including Individual, Family and Military memberships. Class only options and weekly passes for Branson guests are also available. Find your perfect fit now. 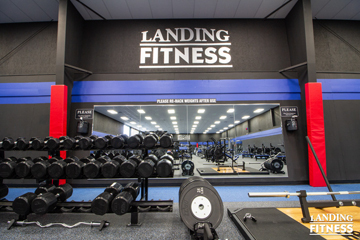 We are excited to see you at Landing Fitness! 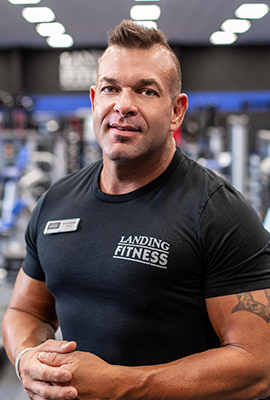 Bio: Danny brings 12 years of industry experience to Landing Fitness including General Health and Fitness, Muscle Gain and Fat Loss, Strength and Conditioning, and Post Rehab Therapy. He is committed to helping others and seeing them succeed, impacting the lives of hundreds of people during his fitness career. As the Gym Manager, Danny is glad to make himself available to you to help you make the best decisions related to your health and fitness. Bio: Stacy is passionate about health and fitness. She shares her fun-filled energy while motivating others to live active and have fun during any style of workout. Even while sweating out the calories and strengthening/toning your whole body, you are guaranteed to leave each workout with an awesome feeling. 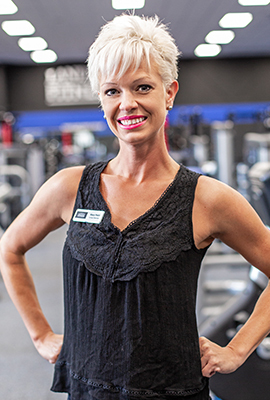 Stacy is excited to help others reach their personal fitness goals. Certification: Bachelors Degree in Recreation with an emphasis in Health and Wellness from Missouri State University; Personal Training and Group Exercise Certification through AFAA and Fitour; Beachbody Turbo Kick Live Instructor Certified. Bio: For Monica training and exercise is about commitment, dedication and perseverance - having one’s mind and body work together in harmony. She loves what she does and her passion comes through during each training session. Monica makes fitness both fun and functional. Let her teach you how strong you really are and how much you are truly capable of. Certification: 30 years experience as a Fitness Coach; CPR/AED Certified (ProFirst Aid/American Red Cross); Certified Group Fitness Instructor; SCW Certified Personal Trainer; SCW Certified Sports Nutrition; Specialties include Goal Setting, Strength and Tone Conditioning, Increased range of motion, Kettle bell – Bosu – Body weight training – Core training – Bootcamp, and proper eating habits. Bio: Maia works with beginners all the way up to competitive level lifters. She is a wife and mother to a family of athletes. She has been a Physique, Figure, and Bikini competitor for the last 10 years. As a Nutrition Consultant, Maia helps people to take control of their diet to develop a healthy and rewarding lifestyle. 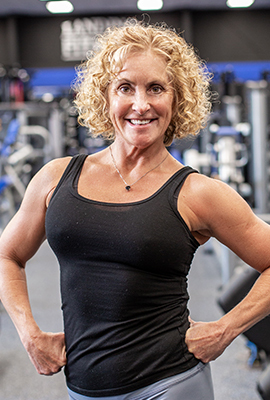 Certification: Certified Personal Trainer; Nutrition Consultant; Specialties include educating women who want to empower themselves in the gym with the knowledge of how to and why to lift weights. Bio: Through high school and college Jared was heavily involved in fitness and athletics. As he got older, daily life began to get in the way and his health suffered. Topping out at 306 lbs and 30% body fat he decided it was time to change. By focusing on proper nutrition and exercise, Jared lost 115 lbs and is down to 10% body fat. He wants to help you change your life as well!